Besides size and coat, llamas and alpacas are quite similar animals. They are intelligent and curious, gregarious and gentle. They can also be a bit mischievous. 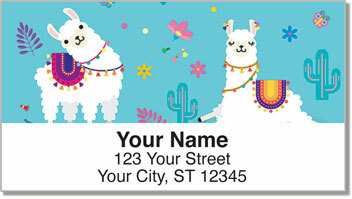 The look on the wooly faces featured on this unique set of return address labels is all the proof you need of that. But don't believe what you hear - when these guys spit - it's usually at each other and not people. If you own an alpaca or llama, you already know what amazing creatures they are. 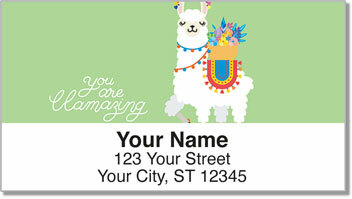 This attractive design is the perfect way to top off all your letters and packages. 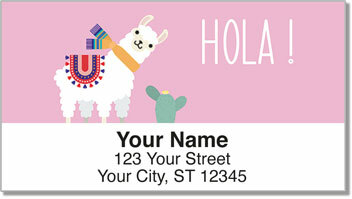 A self-adhesive backing means you simply peel and place on every envelope. 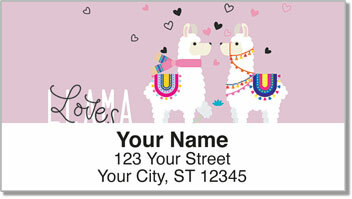 Make these Llama & Alpaca Address Labels yours today! Complete the order with a set of matching checks.